HANFORD – Julie Andrews of Hanford is looking forward to a healthier year in 2014, thanks to a new free health care shuttle in town. Two vans started rolling on Wednesday, Jan. 15, for patients of Adventist Health / Community Care clinics in Hanford and Home Garden. The vans provide free rides to and from clinic appointments or other health care services in town. Andrews was the first passenger on Jan. 15. She learned about the vans when she called the Hanford clinic to cancel an appointment after her ride fell through. Andrews relies on others to take her to see her doctor because she doesn’t have a vehicle. Adventist Health started the shuttle because some patients were missing or canceling appointments due to transportation issues, hindering their ability to improve their health. The eight-passenger, wheelchair-accessible vans are operated by Central Valley Health Transport, a new company in town. They run from 8 a.m. to 6 p.m. Monday through Friday. Shuttle rides are arranged at the time the patient schedules a clinic appointment. 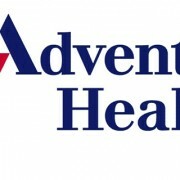 More information about the clinics and the shuttle is available by calling toll-free 888-443-2273 or visiting www.AHCommunityCare.com.